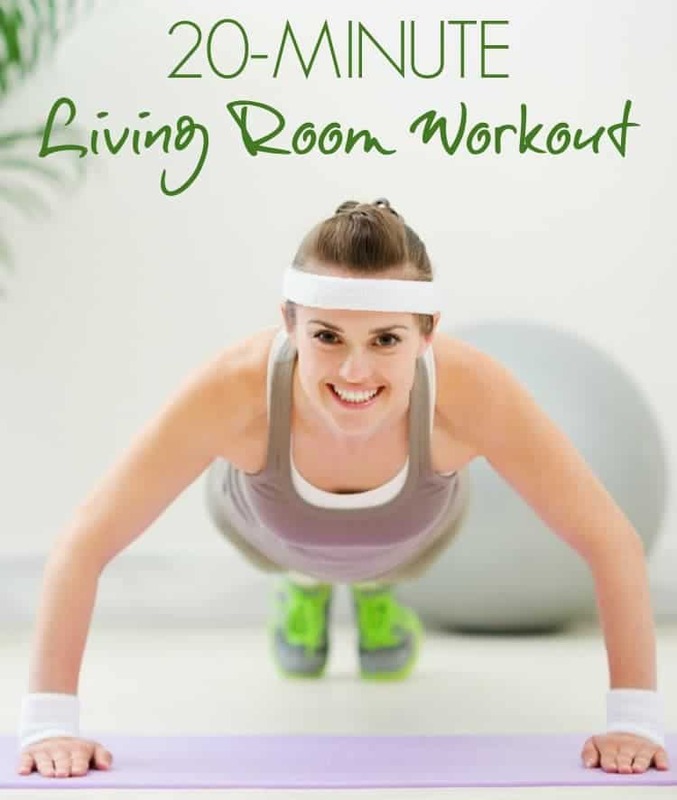 For those days when you can’t get to the gym, you can’t get outside, or you just don’t have the time to do anything more, this 20 Minute Living Room Workout will get your heart rate up and will help you burn calories and tone your muscles efficiently! A mix of cardio and strength, this exercise routine hits all of the major body parts for an effective all-over workout! I’ve decided that my “sweet spot” as far as exercise goes is about 20 minutes. I know it doesn’t sound like much, but I have learned that anything more and I’ll either (1) get bored; (2) get interrupted by my kids; or (3) get overwhelmed by my To-Do List and just not do it at all. Sound familiar? Since something is better than nothing when it comes to working out, I will embrace my 20 minutes and make the most of them. That means using high intensity cardio mixed with tough strength-training movements to maximize calorie burn and muscle conditioning. These quick workouts often get done early in the morning before my boys wake up, so I like to use exercises that are quiet and that don’t require a lot of equipment. If you’re an early-morning, nap time, or late-night exerciser too, then this is the routine for you! Ready to get started? I have included instructions for both beginners and more advanced exercisers. If you’re looking for more of a challenge, you will need some hand weights (5-15 lbs., depending on your current strength). As always, before beginning any exercise routine, be sure to check with your doctor! For a quick video demonstration, just click on the name of each exercise. Perform each superset twice before moving on to the next superset. Stretch and cool down for 5 minutes. YAY! Naturally I LOVE this post!! The videos you linked are great for those that aren’t familiar with the correct form of some of these moves. I might try this in my my hotel room this weekend. Thanks Blair! Woohoo! 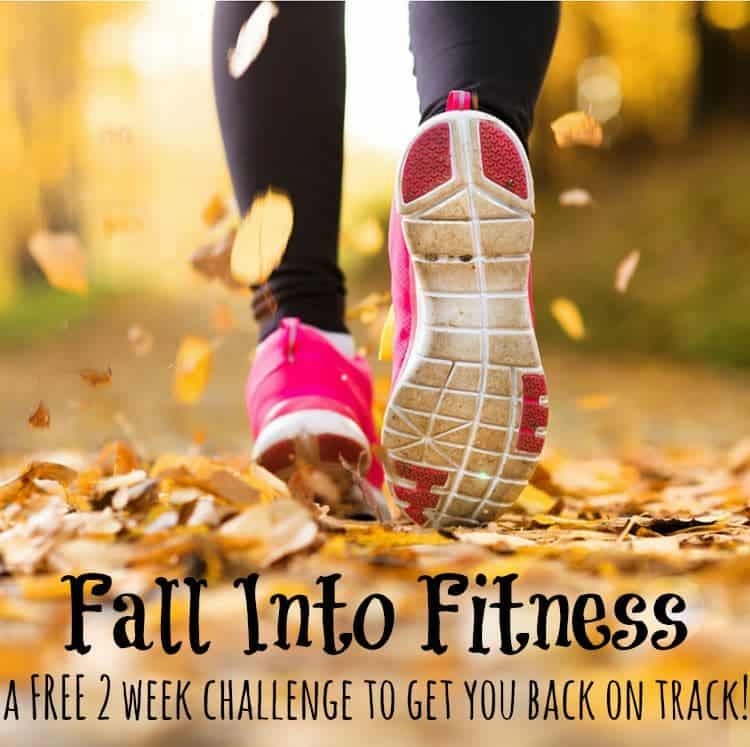 I love when you write these fitness posts Blair, because they always show how it really is doable to sneak in a workout everyday, even when life is crazy! And, without any fancy machines or equipment either! 🙂 Love this fast-paced, full-body workout!